One (1) of twenty (20) specimens of SCP-1041 in containment. Special Containment Procedures: All specimens of SCP-1041, excluding the twenty (20) which have been retained for research at Site-███ for research, are to be compressed, and incinerated summarily following discovery. Mobile Task Force Delta-5 (aka "Front Runners")" are authorized to employ any means necessary in the extirpation of SCP-1041, up to and including, forced entry, burglary, and the demolition of buildings. Description: SCP-1041 is distinguishable by three (3) unique characteristics. 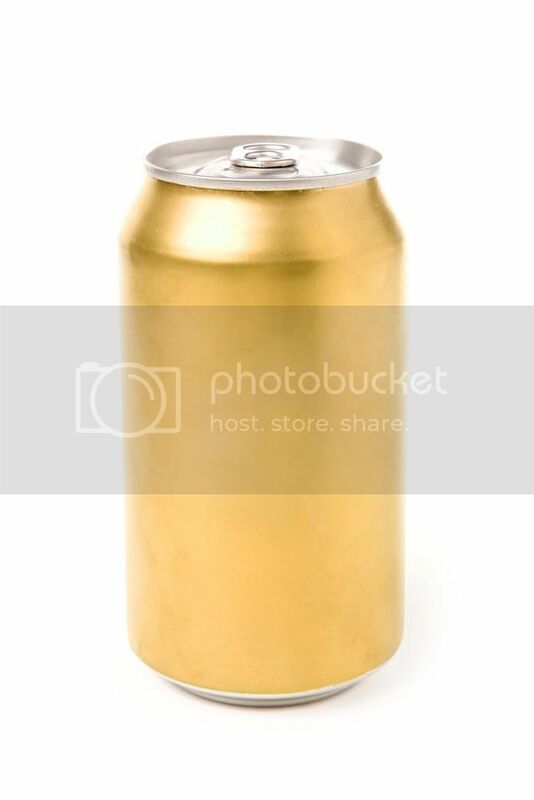 Firstly, specimens of 1041 have, since their initial discovery in [REDACTED], Tennessee, have only appeared as nondescript golden colored cans. Secondly, viewing a specimen of SCP-1041 for a length of time exceeding thirty (30) seconds will invoke severe thirst in all viewers. Test subjects reported feeling a minor compulsion to drink 1041 over any other beverages presented to them. D-0537 described the 1041 as 'tingly', 'metallic', and 'like bad cheap beer'. All feelings of thirst were reported to cease abruptly within minutes of terminating all subjects' exposure to 1041. Thirdly, any individual that has imbibed SCP-1041 will present with the following symptoms within one (1) hour. Fatigue, shortness of breath, that will gradually progress to a severe difficulty breathing, stomach and chest pain ranging from mild to extreme, and distension of the abdominal region, over a period of roughly three (3) days or seventy-two (72) hours. If an individual does not have 1041 removed from their system within thirty (30) minutes they are to be considered an instance of 1041-2 and receive euthanasia. Induced vomiting has shown limited success in preventing 1041's effects if carried out within five (5) to ten (10) minutes of exposure. Summarily the individual's remain are to be incinerated. Within forty-eight (48) hours 1041-2 will no longer be able to move due to total exhaustion and constant, extreme pain in their chest and stomach. Most instances of SCP-1041-2 expire within fifty-four (54) to sixty (60) hours of initial exposure. At seventy-two (72) hours, with some variation due to body mass and size, the stomach and chest cavity of 1041-2 will contain six (6) to thirty-two (32) instances of SCP-1041. Addendum 1041-001: SCP-1041 has been confirmed as a Marshall, Carter, and Dark product, following the capture of one of the organization's facilities. Numerous cases of SCP-1041 and SCP-1041-2 were found within. MTF-Σ-43 is now in the process of locating and eliminating all MC&D facilities which produce or contain SCP-1041. Addendum 1041-002: Lana S. Prescott, a MC&D employee, and self-titled 'Head of Manufacturing' of the captured facility later confirmed that MC&D is cultivating specimens of SCP-1041. Whether or not SCP-1041 was manufactured by Marshall, Carter & Dark is not known. Dr. ████ reporting results of testing of SCP-1041 on D-10411 through D-10414. Subjects D-10411, D-10412, D-10413 and D-10414, after imbibing a single specimen of 1041 each, where contained in a standard 5 x 5m room. Subjects progressed as predicted through the symptoms, each being examined separately at hourly intervals. 54 hours, 23 minutes, and 17 seconds following exposure D-10412 expires. 56 hours, 34 minutes, and 29 seconds following exposure D-10414 expires. 57 hours, 58 minutes, and 33 seconds following exposure D-10413 expires. 75 hours, 11 minutes, and 49 seconds following exposure D-10411 expires. Prior to expiring, the subject opened and removed specimens of SCP-1041 from stomach and chest cavities of D-10412, D-10413, and D-10414, in sequence. D-D-10411 imbibed a total of ██ instances of SCP-1041, including the initial sample. Notes: Autopsies on D-10412, D-10413, and D-10414, were not carried out due the condition of their corpses. The autopsy of D-10411 was terminated following the initial incision. The euthanasia of [DATA EXPUNGED] was carried out as per the Special Containment Procedures for SCP-1041. Special Containment Procedures: SCP-574 is to remain dismantled at all times, and stored in a standard 5 x 5 m Containment Unit. 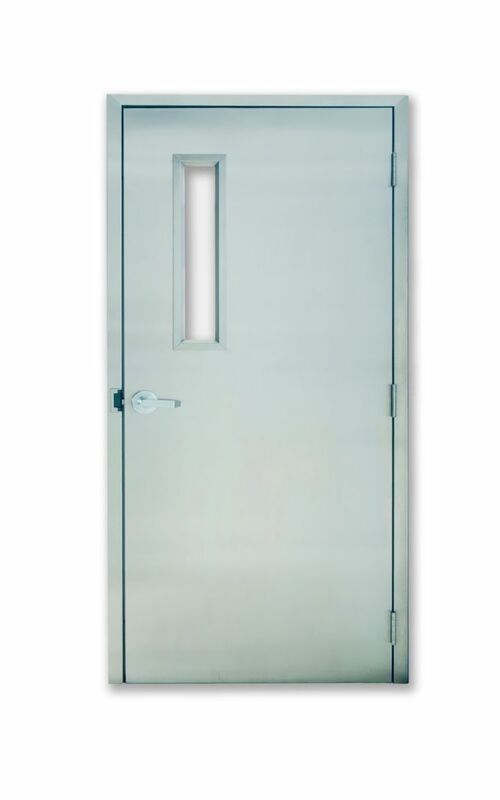 Description: SCP-574 is comprised of a standard sized steel door and all necessary components required to install it, including, one (1) steel handle, Two (2) steel hinges, four (4) steel nails measured at three (3) inches in length, and four (4) steel screws measured at one (1) inch in length. SCP-574 will not display any anomalous properties if one or more of it's components is removed, or replaced. When installed as a doorway any room 574 opens to is to be considered SCP-574-1. Any and all organisms within 574-1 after closing and re-opening 574 will have been removed by an as yet unknown means along with anything on their person at the time. Video surveillance of organisms inside 574-1 after the moment of closing but prior to opening has shown a consistent and intense fear response. At the moment of opening 574-1 will fill with dense white light which fades regularly. Special Containment Procedures: SCP-304 is currently in the possession of Dr. █████. Any experiments or interrogations involving SCP-304 are to be carried out only with the consent of Dr. █████. If SCP-304 is misplaced for any period of time exceeding thirty (30) minutes, all writing within Site-███ is to be halted until 304 is returned to Dr. █████. All paperwork from the day will summarily be reviewed and refiled as required following recovery of SCP-304. Description: When SCP-304 is used, the resulting piece of writing will express the opposite of what the writer intended in a way that is often not immediately apparent to the writer. The effect can be fairly obvious, as in the case of forms where signatures are required, the designated area will be filled with a short refusal, most often worded in a vulgar manner. In other cases the effect is more difficult to recognize. 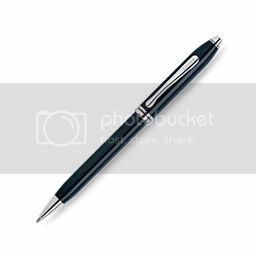 (See Document 304 for examples) When SCP-304 was first obtained by the Foundation it appeared to be an antiquated dip pen. Several hours after being brought to Site-██ 304 assumed its current form. SCP-304 is thought to change itself to 'keep up' with the capability and appearance of modern writing utensils. Addendum 304-1 In one instance a captured GOC operative who having withstood all interrogation, was instructed to write down the locations of any GOC operatives or facilities that he knew of then was given SCP-304 and a sheet of paper. The information was later proven to be accurate. It is assumed that the prisoner intended to provide false information. All pieces of writing logged below were written using SCP-304. Recovered Materials have been sorted chronologically. I hope very much that this will be last letter I need send you. All the others say that we will be going home soon. By Christmas even! I must admit I agree, but I cannot say that I am eager. Oh, if you could see the things I have, I am sure you would understand. I would go so far even as to say that I'd like very much to spend a while longer here. I am entrusting this missive to my friend Matthews. He will ensure that it is handed off to our postmaster. I would do so myself, but I'm afraid I'm being called to front of the line, you might say. Hah! My hand shakes even as I write this last line, I'm so eager. Notes: Lance-Corporal Rivers and PFC Matthews both died in the accidental detonation of a faulty mortar round. Image of SCP-995-1 with sufficient obscuration. Special Containment Procedures: Specimen's of SCP-995 invariably share three common features. Their location, size, and cultural importance render full containment, or decommissioning infeasible. All offers of purchasing specimens of 995 were unsurprisingly rejected. As such, all instances SCP-995 is to be kept under remote surveillance, and avoided by all Foundation personnel. Description: SCP-995 consists of several culturally iconic, man-made structures around the globe. What grants instances of 995 their unusual property has yet to be determined, as multiple instances of constructed using different materials, architectural styles, and in different time periods. Those affected by an instance of 995 suffer a temporary compulsion to return to, or spend more time at, within, or around that particular instance of 995. This compulsion manifests as a genuine desire of the afflicted. Instances have of 995 have been numbered according to their discovery by the Foundation. 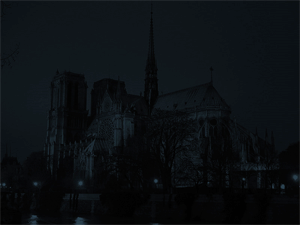 SCP-995-1 is [REDACTED] Cathedral, in █████ ████, Paris. When it was noticed that tourism to the site of 995-1 had been increasingly steadily, with out dropping for ██ years. [REDACTED] Cathedral was designated SCP-955 on ██/██/██73. Addendum 995-001: Testing has proven that 995 must have an exceptionally low rate of infection. However, due to the sheer number of individuals exposed to 995 on a daily basis there are an estimated ████ to █████ instances of affected around the globe, bi-annually. Tourism during holidays leads to spikes in the number exposed to instances of 995. Addendum 995-003: It has been discovered that multiple instances of SCP-995 are known to Marshall, Carter and Dark. It is suspected that MC&D is making use of the nature of SCP-995 for profit, by buying out locations, and facilities around each instance they discover. Marshall, Carter, and Dark do not seem to be creating new instances of SCP-995, only capitalizing on existing ones. And thanks to Victor Hugo for a great story. One (1) of twenty (20) specimens of SCP-965 as viewed while contained. Special Containment Procedures: All specimens of SCP-965, excluding the twenty (20) which have been retained for research at Site-███ for research, are to be compressed, and incinerated summarily following discovery. Mobile Task Force Delta-5 (aka "Front Runners")" are authorized to employ any means necessary in the extirpation of SCP-965, up to and including, forced entry, burglary, and the demolition of buildings. Description: SCP-965 is distinguishable by three (3) unique characteristics. Firstly, specimens of 965 have, since their initial discovery in [REDACTED], Tennessee, have only appeared as nondescript golden colored cans. Secondly, viewing a specimen of SCP-965 for a length of time exceeding thirty (30) seconds will invoke severe thirst in all viewers. Test subjects reported feeling a minor compulsion to drink 965 over any other beverages presented to them. D-0537 described the drink as 'tingly', 'metallic', and 'like an energy drink'. and All feelings of thirst were reported to cease abruptly within minutes of terminating all subjects' exposure to 965. Thirdly, any individual that has imbibed SCP-965 will present the following symptoms within one (1) hour. Fatigue, shortness of breath that will gradually progress to a severe difficulty breathing, as well as stomach and chest pain ranging from mild to extreme over a period of roughly three (3) days or seventy-two (72) hours. If an individual does not have 965 removed from their system through a stomach-pump within two (2) hours they are to be considered an instance of 965-2 and receive euthanasia. Induced vomiting has shown limited success in preventing 965's effects if carried out within five (5) to ten (10) minutes of exposure. Summarily the individual's remain are to be incinerated. Within forty-eight (48) hours 965-2 will no longer be able to move due to total exhaustion and constant, extreme pain in their chest and stomach. Most instances of SCP-965-2 expire within fifty-four (54) to sixty (60) hours of initial exposure. At seventy-two (72) hours, with some variation due to body mass and size, the stomach and chest cavity of 965-2 will contain six (6) to thirty-two (32) instances of SCP-965. Addendum 965-001: SCP-965 has been confirmed as a Marshall, Carter, and Dark product, following the capture of one of the organization's facilities. Numerous cases of SCP-965 and SCP-965-2 were found within. MTF-Σ-43 is now in the process of locating and eliminating all MC&D facilities which produce or contain SCP-965. Addendum 965-002: Lana S. Prescott, a MC&D employee, and self-titled 'Head of Manufacturing' of the captured facility later confirmed that SCP-965 was originally produced by her company. MC&D is cultivating specimens of SCP-965 in collaboration with members of the Chaos Insurgency. Dr. ████ reporting results of testing of 965 on D-96501 through D-96504. Subjects D-96501, D-96502, D-96503 and D-96504 after imbibing 965 where contained in a standard 5 x 5m room. Subjects progressed as predicted through the symptoms, each being examined separately at 2 hour intervals. 54 hours, 23 minutes, and 17 seconds following exposure D-96502 expired. 56 hours, 34 minutes, and 29 seconds following exposure D-96504 expired. 57 hours, 58 minutes, and 33 seconds following exposure D-96503 expired. 75 hours, 11 minutes, and 49 seconds following exposure D-96501 expired after [DATA EXPUNGED] of D-96502, D-96503, and D-96504, and imbibing a total of ██ instances of SCP-965. Notes: Autopsies on D-96502, D-96503, and D-96504, were deemed unnecessary. The autopsy of D-96501 was prematurely ended following the initial incision. The immediate euthanasia of [DATA EXPUNGED] was carried out as per the Special Containment Procedures for SCP-965. SCP-995 in its disassembled state as between immersions. Special Containment Procedures: SCP-995 is to be contained in a standard size wooden barrel. The insides walls, and floor of any barrel designated to contain SCP-995 must be coated in three layers of hard rubber. Any conductive materials, such as metallic bindings, are to be removed from the barrel and replaced with hard rubber or another suitable insulator prior to the transfer of SCP-995 to a new containment unit. Following SCP-995's transfer, it's containment unit is to be sealed with a wooden lid, also triple coated with hard rubber and affixed with rubber nails. Due to the friction 995 produces when operating, it is to be moved to a new containment unit every ten (10) to twelve (12) hours, or as deemed appropriate by Dr. Schubert. Transfer to a new containment unit may only occur ten (10) minutes afters all signs of movement have ended. Description: SCP-995 is a modern rotary engine. 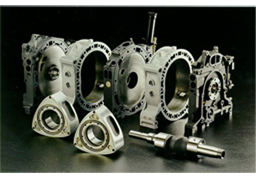 Aside from bearing no marks of manufacturing, on any of it's parts, 995 is nearly identical to rotary engines produced by the █████ Motor Corporation. Despite being removed from any potential power source SCP-995 is almost constantly operating. With some variation, SCP-995 will cease functioning every three (3) to six (6) hours for a period of thirty (30) to sixty (60) minutes. If SCP-995 comes into contact with any material capable of effectively conducting energy, thermal or static, every individual within a ██ km radius will experience sudden, vivid hallucinations that affect all five senses. The agents that originally retrieved SCP-995 described there surroundings as changing radically when they entered 995's area of effect. Foreword: Dr. Cole is not a researcher, and is performing the interview at the request of Agent [REDACTED], a former patient of the doctor. Dr. Cole: Well, hello. Before we begin, how are yo-, excuse me, how is everyone feeling? Agent Sherman: All things considered, I feel ok. Agent Aniston: A bit rattled still. Agent Rivers: What Aniston said. Dr. Cole pauses briefly but continues: …we know everything that happened up to the point you three entered 995's area of effect, but please explain how you got there for the report. Agent Sherman: The area affected was a stretch of highway in [REDACTED]. We were dropped in by helicopter about mile from the zone's outskirts, which at the time looked more like a large-scale riot than anything. Dr. Cole: Thank you Agent Sherman. Now, Agent Rivers, please describe what happened when your team entered the area. Agent Rivers: We walked for about a mile like Sherman said and then we, well, it was like Sherman, and Aniston were with me one second, and the next they were gone. You both got that too right? Dr. Cole: I'm sorry, but you just said you tried your radio yes? Agent Rivers nods: Yes, I did, it worked, but I heard no response. Dr. Cole: And, you two? I assume you both also tried your radios and had similar results? Agent Aniston: Yes, it was the first thing I tried. Dr. Cole: Alright, thank you. Now, Agent Aniston, please describe any experiences you had while within 995's area of effect. Dr. Cole: What did you see? Agent Aniston looking towards the two chairs next to her: I…well, at the time it was terrifying, but now it seems almost silly. I saw River's and Sherman. Dr. Cole: Was there anything odd about seeing the two? Anything that didn't quite make sense? Dr. Cole: Why? Why shouldn't they have been there? Closing Statement: SCP-995 appears to have been the catalyst of Agent Aniston's delusions. More specifically, she refuses to acknowledge the deaths of Agents Sherman and Rivers, going as far as speaking for her late comrades. I suspect this is not a direct result of exposure of 995, but a reaction to losing Agents Sherman and Rivers in the re-containment of another SCP. Dr. Cole: Well, hello. Before we begin Linda, how are yo-, excuse me Agent Hugo, how are you both feeling? Agent Hugo: What Aniston said. Dr. Cole pauses briefly but continues: …we know everything that happened up to the point you three entered 532, but please explain how you got there for the report. Agent Hugo: We were lifted by helicopter to a hospital about a kilometer from [REDACTED]. We proceeded to, and entered 532 on foot. Dr. Cole: Thank you Agent Sherman. Now, Agent Rivers, please describe what happened after your team entered the area. Agent Hugo: We went in, and then…well, I was just so…not tired, but more…like you know that feeling you get when you seem to be [EXPLETIVE REDACTED] up everything, and you just want to give up on it all? Dr. Cole: Would you say you felt depressed? Agent Hugo nods: Yes, I did, it worked, but I heard no response. Dr. Cole: And, you as well Agent Aniston? I assume you also tried your radio and had similar results? Agent Aniston: Yes. I tried after Viktor's, er, Agent Hugo's failed. Dr. Cole: Alright, thank you. Now, Agent Aniston, please describe any experiences you had while within 532. Dr. Cole: You did see the █ instances of 532-1, though? Agent Aniston looking towards the chair next to her: What…? Oh, yes. Yes, I did. They were at the front, standing in a group where sermons are given from, you know? One of them was talking, preaching really. Dr. Cole: And what did you do then? Agent Aniston: I tried to get close enough to take them out as I'd been ordered but…the one who preaching, he sounded just like, well…it'sridculous really, he sounded like Viktor. Dr. Cole: And this startled you? Agent Hugo was with you, what did he think? Closing Statement: SCP-532 appears to have been the catalyst of Agent Aniston's delusions. More specifically, she refuses to acknowledge the death of Agent Hugo, going as far as speaking for her late comrade. Special Containment Procedures: SCP-328 is contained in a hermetically sealed 5 x 5 m Containment Unit composed of plexiglass. Barring scheduled feedings or research, under no circumstances should the Containment Unit be opened. Description: SCP-328 is an invasive parasitic organism that typically attaches itself to grass, trees. Testing suggests however that anything with a root system is vulnerable to infestation by 328. 328 when removed from a host is a spherical seed pod, six and three quarter inches in diameter. 328 core, or seed is a living fibrous outer covering identical in appearance, and texture to a . 328 differs from ordinary grass in regards to it's 'roots'. Below the surface 328 extends roughly ten (10) to (15) meters down and seems to absorb any living tissue it encounters, while gradually displacing the rest. 328 has been observed to maintain or repair it's uppermost surface with material trapped within it's root system. 328's roots are comprised primarily of cartilage with a thin chitinous coating. SCP-328 weighs approximately pounds as of Incident-328-███. Following Incident-328-001, SCP-328 showed an increase in weight of ███ pounds and a proportionate increase in mass. Prior to containment, SCP-328 is hypothesized to have occupied a stretch of land within [REDACTED] National Park, and to be responsible for a number of unexplained disappearances. Addendum 328-001: Following the containment of SCP-328, Mobile-Task-Force-Κappa-61 "The Groundskeepers" were dispatched to [REDACTED] National Park to search for additional specimens of SCP-328.